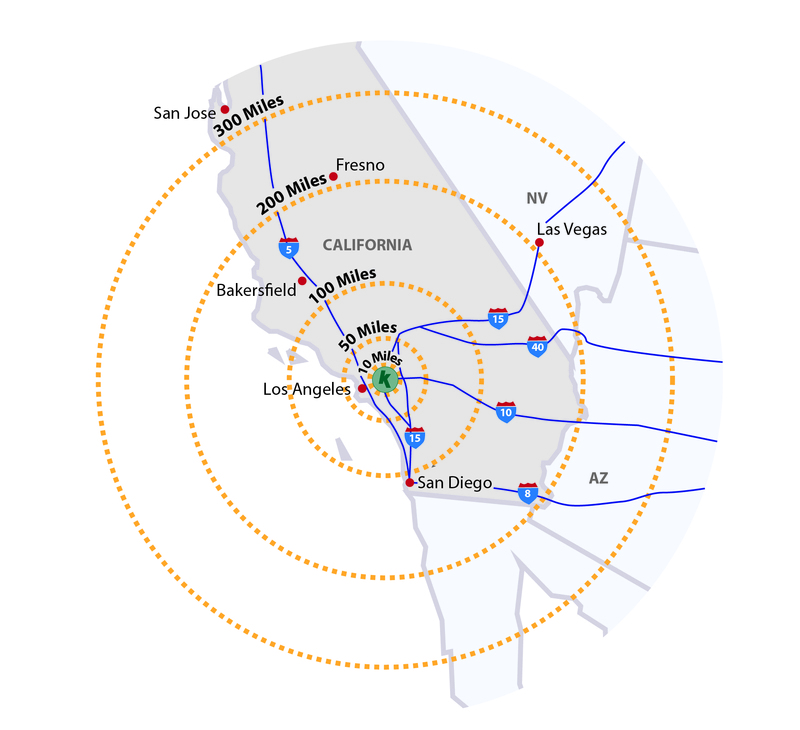 KANE operates two multi-client Southern California distribution centers totaling over 240,00 sq. ft. of racked or bulk storage space. Both are located within California’s Inland Empire region. This is an area just outside Los Angeles that not long ago was dotted by barns and citrus groves, but now boasts 1.1 billion square feet of SoCal warehouse space. And it’s growing. More and more companies are seeking a Los Angeles warehouse location outside city limits because of the substantial cost savings and proximity to the ports of Los Angeles and Long Beach.